The number of teens and young adults who use tobacco products remains surprisingly high in the United States. According to the Centers for Disease Control and Prevention, more than 3.6 million middle and high school students smoke cigarettes. In fact, for every person who dies due to smoking-related illnesses—more than 1,200 people each day—at least two teens or young adults become regular smokers. Nearly 90% of these “replacement” smokers try their first cigarette by age 18. Set a good example. If your kids see you smoking, how can you expect them to listen to you? Say no to teen smoking. Tell them smoking isn’t allowed. Firm smoking restrictions may sway them not to try in the first place. Appeal to your teen’s vanity. Remind your teen that smoking is dirty, smelly, gives them bad breath, wrinkles, makes their teeth yellow, and gives them less energy for sports. Do the math. Sit down with your teen and calculate how expensive a smoking habit can really be. Chances are they will already be thinking about spending that money elsewhere, like saving up for a car. Expect peer pressure. Rehearse with your teen on how to respond to peer pressure from friends and other teens. Take addiction seriously. Tell them how hard it is to quit smoking, and that most adults who have died from smoking started when they were teenagers. Predict the future. Teens tend to think they’ll live forever. Use loved ones, friends, or celebrities who’ve gotten smoking-related diseases as real-life examples. Think beyond cigarettes. Smokeless tobacco, clove cigarettes, and hookahs are not safer than smoking cigarettes. They all carry health risks; don’t let your teen be fooled. SmokeFreeTeen.gov is dedicated to helping teens and young adults quit smoking. They offer the Smokefree TXT text messaging service that provides your teen with 24/7 encouragement. Also, their QuitSTART app allows teens to track their mood, cravings, triggers, and overall smoke-free progress. Just sign up! Please note, these resources are free from SmokeFreeteen.gov, but standard messaging and data rates apply. 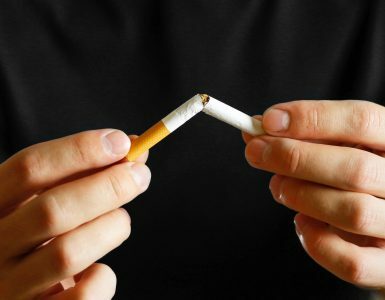 Lung.org is sponsored by the American Lung Association and offers a lot of information about how to quit tobacco, why you should quit, and where you can find more help. They also offer information regarding federal, state, and community programs to help with tobacco cessation. 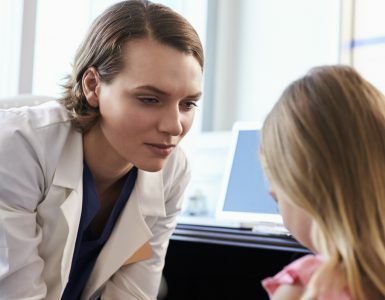 Kidshealth.org is a great resource for helping your kids quit smoking. Plus, it also offers a lot of advice for other issues and risks that may impact your teens, such as drugs and alcohol, driving safety, and food and fitness!